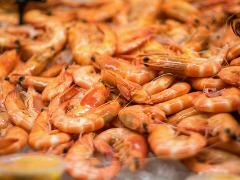 Mooloolaba's famous seafood lunch cruise! Twilight has its own special meaning to everyone. 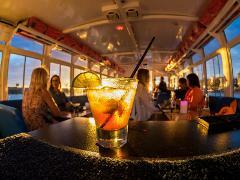 To us at Coastal Cruises Mooloolaba it means relaxation, fresh local food and crisp, cold drinks. Experience the best of the Sea! Enjoy a fun-filled experience at Sea-Life followed by a relaxing seafood lunch cruise on the beautiful river and canals of Mooloolaba! 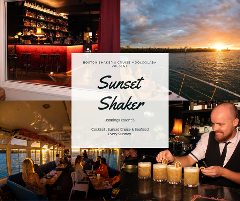 The Boston Shaker bar & Coastal Cruises Mooloolaba present a new meaning to your Sunday! Now offering a midweek delight! 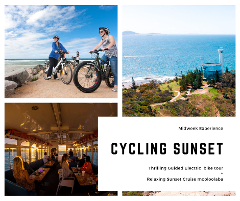 Enjoy the beautiful Mooloolaba, Minyama, kawana and Point Cartwright area with a guided Electric bike tour, followed by a relaxing Sunset Cruise!